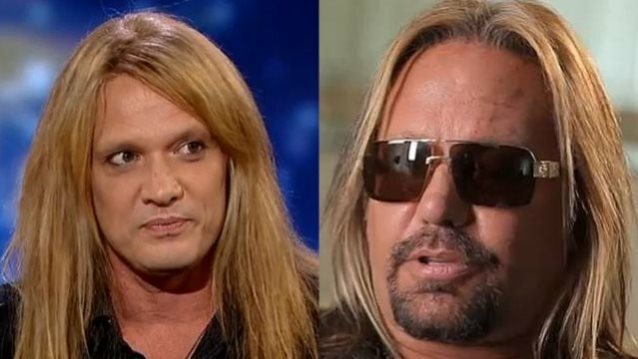 Former SKID ROW singer Sebastian Bach says that he was asked to replace Vince Neil in MÖTLEY CRÜE but that he turned down the opportunity because he thought his situation at the time was better. Neil was fired from MÖTLEY CRÜE in 1992 due to personal differences and was replaced by John Corabi. With Corabi on vocals, MÖTLEY CRÜE released one critically acclaimed full-length CD, which ended up being a commercial failure in the wake of grunge despite a Top-Ten placing on the album chart. 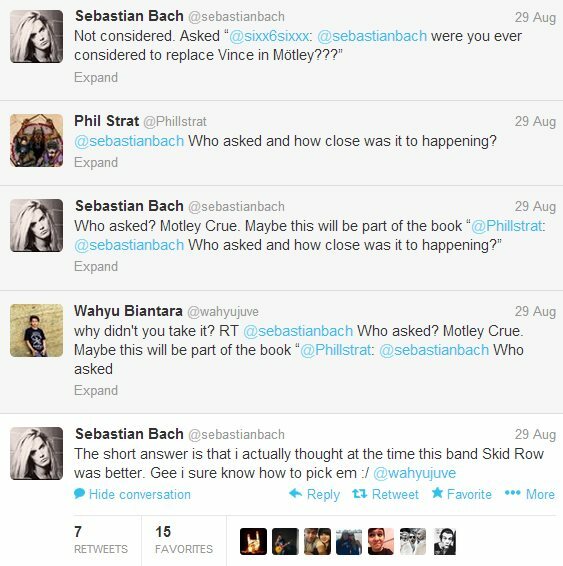 Asked by a fan on Twitter if he was ever considered to replace Vince in MÖTLEY CRÜE, Bach replied that he was not just "considered" but that he was actually "asked" by CRÜE if he wanted to join the band as its new lead singer. He then added that the story of how close he came to becoming a member of MÖTLEY CRÜE might be included in his upcoming autobiography, which he is currently working on and for which he recently revealed that he had "a big offer from a big book company." When another fan pressed Bach on why the singer turned down the offer to join MÖTLEY CRÜE, Bach replied: "The short answer is that I actually thought at the time this band SKID ROW was better." Sebastian then added, "Gee, I sure know how to pick 'em." In a November 2012 interview with the "Eddie Trunk Rocks" radio show on New York's Q104.3 FM, Bach stated about his former band: "I will always be the singer of SKID ROW, no matter what. There's no other guy. It's like… John Corabi, I love ya — it's great — but where's Vince? I mean, that's the way it is. Walk down the street with me and count how many times [people scream out], 'Youth Gone Wild! SKID ROW!' It's like people shout out of the cars."